India’s business community and its political executive have had a long and eventful association, right from the early days of India’s independence movement. The pioneers of Indian industry, men like Jamsetji Tata and Walchand Hirachand, were fervent nationalists. Gandhiji’s association with the houses of Bajaj and Birla is well-known. Jawaharlal Nehru and J.R.D. Tata did not always think alike on key economic issues but shared a high degree of mutual respect. Indian industry was happy to be the key financier of the Indian National Congress through the independence movement. In contrast, Indian industry’s association with the political executive in post-independence India has not been quite as driven by the same degree of selfless national interest, in tandem with deterioration in the moral fabric of politics. As politics became increasingly financed by unaccounted money, business became the natural source for black money as the biggest beneficiary of the ‘Licence-permit’ Raj. As the power of government discretion grew, unscrupulous businesspersons joined the ranks of vested interests who sought to tailor the exercise of government discretion to further their own narrow objectives. Easing of government controls from the 1980s did little to introduce transparency in money flows between industry and political parties. Laws on official donations to political parties from companies did several flip-flops till it was settled by changes in the Companies Act, placing a limit of 5 per cent on the average profit over three years as the maximum that could be extended to political parties. The limit was later increased to 7.5 per cent and eventually removed altogether in 2018. It has been gratifying to see how various initiatives by the Election Commission in recent decades have changed the tone and tenor of the conduct of elections. The time for electioneering has been compressed from three weeks to two weeks. Gone are the use of posters and hoardings and the rampant debasement of walls for election slogans. A liberal increase in the number of election observers, coupled with increased vigil by the local bureaucracy with greater empowerment, cooperation and coordination among both sets of officials, has meant a sharper vigil on all overt expenses and curbs on malpractices. These are some of the most important changes that are evident to all. The contrast between elections in Bihar even a decade ago and now is perhaps the best testimony of the positive changes in the conduct of elections. There was a time when elections in Bihar were a long series of events of ‘booth capturing’ and pitched battles between political factions resulting in scores of deaths. In contrast, the elections held in November 2010 barely saw any violence. Other than a few incidents instigated by Maoists, electoral malpractices, booth capturing and rigging of ballot boxes is simply not in evidence. At the same time, I recognize that the corrupting influence of the role of money in our politics has only grown over time even as many improvements have been embedded in the conduct of elections. Only a naive person would believe that in Lok Sabha elections, or state assembly elections, candidates adhere to the spirit of limits on election expenses (even today at an unrealistic Rs 70,00,000 per Lok Sabha seat). Thanks to the heightened vigil by election observers, the expenses that can be traced to either candidates or parties are now accounted for to a greater degree. But the scope of abuse of money power in persuading voters by holding out inducements that leave no trace has, I understand, only increased. What should be overt election expenses, because of greater vigil, have become covert. As campaign costs have spiralled, elections have become even more expensive affairs at all levels, right down to the modest Panchayat elections. Indian political parties, usually at each other’s throats on most national issues, have united in giving themselves a legal loophole, which allows expenses incurred by parties on candidates’ election to be virtually limitless and untrammelled. Political ability is often an amalgamation of right credentials (family, caste or community) and access to funds. A sterling record of services to the people comes lower down the eligibility rung. The increasing presence of criminal elements, in parties virtually across the spectrum, among the elected people’s representative is another cause for despair. We may be advised to look at other developments to hope for a more responsive and cleaner future of politics in India. In several recent elections, it has become increasingly apparent that the politics of a development orientation can indeed score over other, baser motivations. At one time, voter preferences used to oscillate between competing parties and incumbency was seen as a mill around the ruling parties’ necks. In the last few elections to state assemblies, however, we have seen that performance that has genuinely improved the lives of the people has conquered the incumbency. Partisan appeal, to either communities or castes, would often sway voters but we are now seeing the primacy of inclusiveness coming to the fore. The Election Commission is only an enabling body whose impact is circumscribed by the laws enacted by Parliament in the Representation of People Act, 1951. There can be little doubt that the Commission has done the country proud. But it is the people’s representatives who write the laws that can address areas of concern in the arena of Indian politics. It is for all responsible citizens, including industry, to pressure the political class to do this expeditiously and comprehensively starting with the structuring of state funding for elections. 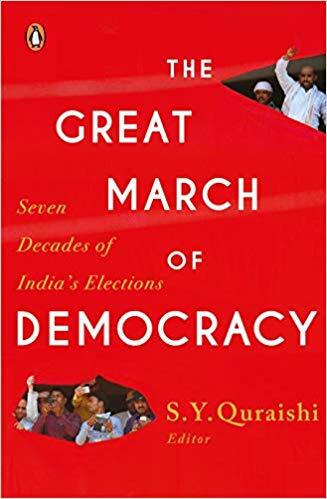 This excerpt from the book ‘The Great March of Democracy: Seven Decades of India’s Elections’ edited by S.Y. 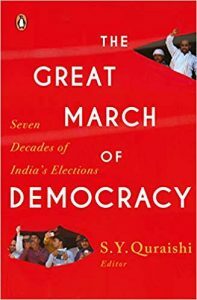 Quraishi has been taken with permission from the publisher Penguin Viking. 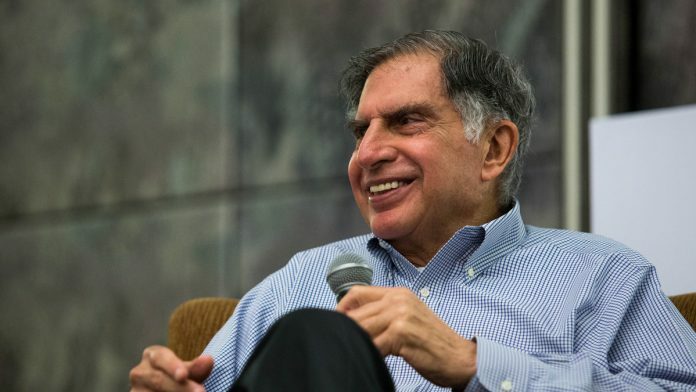 Industrialist and former chairman of Tata Sons Ratan Tata is among the founder-investors of ThePrint.